"The bottom line is that your own financial and psychological preparedness for dealing with volatility will determine whether you come out of the next year or two substantially better off—or substantially worse"
"It's your responsibility to determine your response and hence your own financial future." HIS BUSINESS: Founder of Global Resource Investments which is now part of the $8 billion Sprott Asset Management including Sprott Physical Silver Trust (one of the most sought-after brokers in the natural resource industry). HIS SILVER PRICE PREDICTION: The near-term outlook for silver is very bullish, as a consequence of the physical silver shortage. Rick Rule recommends having some physical gold and silver. "It's not in anticipation of profiting from a run in gold and silver prices—although that isn't a bad aim either—but because they increasingly constitute good cash in a world where many forms of cash aren't so good." When asked about silver specifically Rick Rule remarked, “Dollar demand for silver is outpacing dollar demand for gold. I keep hearing that there could be problems in near term futures delivery, that is more metals stood for physical delivery than the market has the ability to produce. "I’m still very constructive longer-term on both, but the silver market may not decline like the gold market. ""We can also count on longer-term strength in gold and in particular silver, with a potential silver shortage developing." A favorite of the Agora Financial Forum held each year in Vancouver, Rick Rule came out strongly for silver as a top pick for 2011 in an interview on King World News. "Specifically the amounts of silver that have been bought by the ETF’s (exchange traded fund), and by Sprott Physical Silver Trust, have driven up prices. But the silver they have taken off of the market has not been as easily available to mints that have themselves faced increased demand from retail coin buyers. It’s been very aggressive buying demand that’s really changed the price of silver." “You could also see a sustained two or three year bull market in silver simply because supply isn’t sufficient to meet intermediate-term silver demand." Posted on "The Daily Bell"
Daily Bell: Thank you again for sitting down with us. Rick Rule: It is a pleasure. Daily Bell: You indicated back in July that you would have a fairly major transaction in the next 2-3 weeks. What was it? 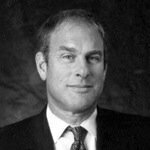 Rick Rule: We have agreed to sell Global Resource Investments and the affiliated companies to Sprott Inc., who is probably Canada's premier global resource oriented money manager. Eric Sprott is somebody who I have known and admired for many years and everything that I have tried to do, he has managed to do seven or eight years before I did. He made the transition from a big brokerage firm to his own brokerage firm, which I did, followed by a decade. He made the transition from brokerage firm owner to money manager, which I did. But most importantly, Eric succeeded in institutionalizing himself, surrounding himself with a high quality group of people. So what had been a job became an investment and a business, Sprott Inc. That was the next stage in my career for a bunch of reasons. So we have agreed to a transaction where we are acquired by Sprott in an all stock transaction. I will become the second largest shareholder of Sprott Inc. I will be a director of a public company for the first time in my life and I'll be the second largest client of Sprott. In other words, I will have more of my money managed by Sprott, with the exception of course of Eric himself, who has most of his money managed by the firm. Daily Bell: Congratulations. Can you expand? Rick Rule: Sure. If you Google Eric Sprott, you will see by reading some of the posts and references, the extraordinary value of the Sprott brand. It's interesting to note that the Sprott brand was not developed by advertising but by performance. His five-year performance, his ten-year performance, his 15-year performance – all have been excellent. The only resource manager who has spent less money on advertising than Eric, is me because our expansion has been performance based as well, so we are really merging two performance based cultures. Eric has grown from 40 million dollars of assets under management 10 years ago, to six-and-a-half billion dollars of assets under management today, and as I say, largely through organic growth and performance. We believe that the next major platform for the firm's growth is in the United States. The US market is about twelve times the size of the Canadian market, in terms of investable funds, including seven trillion dollars in cash and money market fund equivalents. It's a market where the financial services industry is much less concentrated than in Canada, very, very fragmented, lower barriers to entry and in particular it's a market that is under served in the financial community in terms of natural resources investing. So we think it's an absolutely prime market for Sprott to come into and we think, in all humility, that we are the perfect footprint for it. We are the largest resource oriented brokerage firm in the United States, certainly the largest with regards to micro-cap resources. We have the segregated accounts business, which is not a mutual fund business but rather a business that manages accounts for individuals. It does not co-mingle with part of a pool, which is a form of a management that is increasingly popular among high net worth American individuals. They prefer that method of asset management in increasing measure to the open-ended mutual fund format. We also have permanent assets in the form of capital pools. An important part of the thing that has set Sprott apart from their competitors and us apart from our competitors, is that the structure of many of our products are permanent or semi-permanent, which enables us to make investments in natural resource companies for the longer term. Many of our competitors in United States and Canada seem to have trauma holding stock over a long weekend, but in fact value is developed in these companies over time. Both Sprott and Global have proven their ability to invest in young companies, help them grow over time, and as a consequence of that make substantially larger returns than we would have had we been time constrained. So, I think both firms' orientation and both firms product mixes are uniquely suited to each other. I guess the clincher on the transaction is that I have been attempting for two years to hire Peter Grosskopf from Cormark to come and run my business. Once again Eric beat me to the punch. When Eric hired Peter as CEO, Peter called me up and said, "Can we continue our discussions in a different format?" The answer was yes. Daily Bell: We will follow your progress with interest. But here is a related question: Is the resource sector headed into a bubble? Rick Rule: I think the sub-sectors of resources will be headed toward a bubble. One of the interesting things about the micro-cap resource sector is that in good markets, liquid markets, it becomes increasingly story oriented and less reality oriented. So you have these odd sector meters, which often evolve into bubbles very quickly. I think in terms of the lower quality goals we are definitely in a bubble. We are seeing companies with 60 or 70 million dollars of market capitalization that don't have any gold. The argument of course is that as the price of gold goes up that should have some impact on them. But I also believe that we have 10 years left in the resource super cycle, that isn't to suggest that we won't have some ugly downside volatility, not unlike the volatility we saw in 2008 or the volatility we saw in 1975, when in the midst of the greatest gold bull market of all gold lost 50% of its price over the course of a year. So, I think the secular gold bull market and secular resource bull market is very much intact but I expect that we'll see extraordinary volatility. Daily Bell: What do you think of the Canadian regulatory outlook? Rick Rule: Unfortunately, I am from the United States and I would suggest that the Canadian regulatory climate relative to natural resources is much more intelligent than the American regulatory environment. For one thing, Canada is still a resource economy and I can call regulatory authorities in Canada who have more than a passing familiarity with the industries that they are asked to regulate. In the United States, even many of the best intentioned employees of the regulatory agencies don't have any background in resources so it's difficult for them to even know what the words mean, which constrains them in terms of being intelligent regulators. If you compare the Canadian regulatory environment to other natural resources markets in the American environment, I would choose Canada. Daily Bell: Where is financial regulation headed these days, globally? Rick Rule: I hope it doesn't go global. I hope investors around the world are allowed to choose between competing regulatory climates. I believe that money will gravitate to freedom and to the extent that freedom is allowed somewhere, some place, I think it will be rewarded. I think the American regulatory climate is particularly troubled because the market breakdown we had in '07 and '08 came to be regarded as a failure of the market, rather than a failure of regulation. It is my belief that this turndown was really a function of regulatory capture. I think the whole too-big-to-fail concept, the promotion by many arms of the federal government of the mortgage industry and a large number of factors almost all of which were regulatory constrained, were the causes of the '07 and '08 decline. The demands from the public and legislature have been to increase the regulatory arena, which caused the problem. The most efficient form of banking regulation would have been to abolish federal deposit insurance. If depositors had to do due diligence on the capital adequacy ratios of the people they were depositing their money with, you wouldn't have had a problem. But, the widows and orphans demand protection and there are lots of them. I am not sure ultimately they are being protected as much as swindled. Daily Bell: Are you a fan of any part of the increased invasiveness? Rick Rule: [Laughing.] No, I can't elaborate, I lose my sense of humor. Daily Bell: What is the point of all the harmonizing of regulation now occurring? Rick Rule: The point of harmonizing at the federal level in the United States and the attempt to harmonize at the federal level in Canada will be to avoid competition between regulators. The regulators would say a race to the bottom and the capitalists will say a race to freedom. I am not for harmonization but I do think it's inevitable. You will notice that harmonization is a key word among the collectives. They would like to harmonize tax rates on a worldwide basis too. I think it's a very disturbing trend. Daily Bell: Is the stimulus working in America or Europe? Rick Rule: I don't see any evidence that the stimulus is working. We are having one of these famous jobless recoveries. I think the stimulus may be working for some of the senior executives of some of the bigger investment banks. I think it is certainly working for politically connected construction contractors in terms of infrastructure projects. It certainly worked for the shareholders of major banks, many of which deserve to fail and certainly would have failed without the incredible liquidity they were offered. But succeeded at what cost? It seems to me that the difficulty we are in, in terms of credit markets is that we have lived collectively beyond our means. Let's use Greece as an example. The idea is that Greece couldn't service its debts at 1 x GDP so you extend them a credit at 1.6 x GDP. It doesn't seem to me to make any sense. I am not picking on the Greeks, I live in California and our financial picture is bleaker than Greece. I am using them as an example. The idea that a group of people who are heavily indebted and don't generate enough economic utility to service their obligations can somehow be benefitted by increasing their obligations does not make sense. People have to invest, people have to produce, people have to save. But instead people would prefer to spend and that math doesn't add up. Daily Bell: Is austerity going to help Europe? Rick Rule: What austerity are you referring to? It seems that the people who embrace austerity to some measure are the Germans who are already in fairly good shape. The rest of Europe, I don't think, had any intention of embracing austerity. There's some suggestion that Greece is embracing austerity as a consequence of the increase in the size of their government. The Greek people have greeted this "new reality" by burning police cars and throwing stones. Is that, then, a net benefit? Daily Bell: War with Iran? On the menu? Rick Rule: I don't know the answer to that. When last I was in the Persian Gulf, my friends there suggested that Iran and the United States were engaged in a dumb-presidents contest and they were curious to see who was going to win. I think there is a lot of nervousness in the region. I certainly hope that there is no war. I am always nervous about big governments talking to each other but I am more nervous when big governments don't talk to each other. Daily Bell: Dollar going up or down long term? Rick Rule: Long term it is hopeless. Hopeless. I think it is going much lower. It is widely reported that what you are seeing now is a race to the bottom. We have talked about this in prior interviews. The world's reserve currency is still the United States dollar and the United States is still, despite the fact that it is weaker, the world's mouth. We are the consumer that everybody looks to and if the Chinese are determined not to let the Renminbi appreciate too much against the dollar, the rest of the world has no choice but to appreciate. Japan can't lose her competitive position relative to China in the US export market, so they have to devalue. From my point of view, all currencies go lower. I see the only currencies in the world that don't have a domestic political constituency for devaluation being gold and silver. Daily Bell: Is the EU doomed to break up? Rick Rule: Doug Casey wrote a good piece on that and I think he gave a good interview with you about this. I think the European Union, much like the euro, as Doug describes it, is a kind of Esperanto currency and an Esperanto Union. I see too many domestic political constituencies that feel themselves ill served. The ones in the EU that feel they have benefitted by the union are the people that are drawing the most from it and contributing the least to it. It has happened in the United States too where the productive classes subsidize the unproductive classes at nauseam. Daily Bell: Is the West headed toward price inflation now, or hyperinflation or is the risk still deflation? Rick Rule: I think deflation first, and then inflation. The world-wide numbers seem to indicate that we are in a gradual deleveraging process and deleveraging processes are usually deflationary. I think the political answer to that is to print like mad, which we have seen, and then ultimately face inflation. Deflation would be healthiest. The best way to deal with those debts is to liquidate them. Daily Bell: You thought America's bailouts were ineffective. Have you changed your mind? Rick Rule: No, not at all. Daily Bell: Give us your thoughts on China right now. Rick Rule: I think China has to slow down. There is no doubt that they are in a real estate bubble and it's liquidity driven. I am very nervous about the opaque nature and the politicized nature of the banking system in China. I have some personal knowledge of that and it's very scary. Having said that living in Vancouver, one has only to observe the extraordinary success of the Chinese, epic de espera around the world. When people from China are given a measure of freedom anywhere in the world, their work ethic and their intelligence allows them to thrive – to the extent that the communist party continues to permit gradual increases in individual liberty. I see China overcoming the opaqueness of the banking system and am hopeful that political liberalization in China and India combined will generate enough wealth that they will pull us decadent old Westerners out of the holes we have dug ourselves into. Daily Bell: Where do you see the natural resource sector headed? Rick Rule: Further to our discussion earlier, we are in a secular bull market that has room to run in the context of people in the third world rapidly becoming richer as small amounts of political liberalization take over. Those poorer people when they get money spend it differently than we do. When they get money they buy things that are made of stuff. If they live below the equator, they buy a refrigerator or an air conditioner or a newer more efficient means of transportation than a worn out bicycle. So on the demand side, demand is increasing rapidly per capita. At the same time supplies are constraining as a consequence of a 20-year bear market in resources that began in the early '80s and went until 2000. The situation where you have increases in demand and limited supply is very good for commodity prices and I don't see anything really changing that. Daily Bell: Are we seeing increased volatility? Rick Rule: We are, but I don't think we have seen anything yet. We are headed into a period of absolute hyper volatility. Daily Bell: How long a run will gold and silver have? Another five years? Another ten? Rick Rule: That is a question I am ill prepared to answer. I don't think it will be as fast as many people think it could be. I forget who said during the 70's run that there's a lot of ruin left in a country the size of the United States. I think we have a slow motion train wreck not a rapid train wreck and I think gold's upward move will be in fits and starts but steady. Daily Bell: Is silver a better investment than gold? Rick Rule: I think in the near term, silver probably is. My new nominal boss, Eric Sprott, has done a lot of work on the amount of physical silver that is currently available in the world to meet near term investment demand and the picture that he paints is very bullish for silver. Daily Bell: Will the historical 15/1 ratio reassert itself? Rick Rule: I don't really understand those ratios. I think they are irrelevant myself. There are a lot of people who like technical ratios because they need precision in their minds to help make decisions, but I think the world is much more chaotic than anything that would be represented in the context of those ratios. I think some of the things that impact the price of silver and are relative to the price of gold are esoteric, like the price of base metals. When the price of base metals is high, more bi-product silver gets produced. There are many more manufacturing and fabrication uses for silver and those types of variables don't fit neatly into a performance curve that would suggest the ratios are necessarily valid. Daily Bell: Is oil going to head up in price? Rick Rule: Yes, longer-term, but maybe lower in the near term. In our last interview we discussed how the supply outlook on oil is positively scary. The big multi-national oil companies don't produce most of the oil in the world, contrary to what the public thinks, rather it's produced by national oil companies – the same people who can't deliver the mail. We have a situation worldwide where legislatures have diverted free cash flow from their domestic oil industries to subsidize politically expedient domestic programs including, ironically, subsidizing gasoline for the citizenry. This has the odd impact of increasing demand while reducing supply internally. It's my belief that several current oil exporters such as Mexico, Venezuela, Peru, Ecuador, Indonesia and probably Iran, will cease to be exporters of oil in the next five years. If you took those six countries out of the equation, you would reduce world export supplies by 25% at a time when world export demand is increasing on a compounded basis by 1.8%. Those are scary numbers. Daily Bell: What investment criteria do you use these days? Rick Rule: Same as always, risk adjusted, net present value. We are fundamental investors. I don't have anything against technical analysis, I just don't understand it. I'm not a creature of markets, I think markets are a facility for buying and selling fractional ownership in businesses represented by shares or fractional participation of debt represented by loans or bonds. We have employed the same discipline for 30 years – nothing changes for us. Daily Bell: Has your strategy toward identifying promising opportunities changed in any way? Rick Rule: It has. I am a contrarian so I try to stay out of the main stream. During the 1998-2002 period we had two things we were concentrating on, one was uranium and the other was gold. Both have performed well. Uranium having performed so well it's beginning to be out of favor to be in it again. We are looking at re-entering the uranium market. We are looking at re-entering the North American natural gas market, which is extremely out of favor and we are extremely bullish on certain forms of alternative energy, mainly hydro and geo-thermal. So, yes, we are doing things a bit more differently. There was a book published, not too long ago, saying there is always a bull market somewhere. For me, that's like saying there's always something that is overpriced if you look hard enough. You can always pay too much. Mercifully for me, there is always a bear market somewhere and there is always something that is out of favor that we can buy and hold until it returns to favor. Daily Bell: The Internet has played an important part in the precious metals resurgence. Is Internet censorship on the way? Rick Rule: I think that Internet censorship is on the way, but I think they are going to have a hard time implementing it. We had a well-intentioned problem ourselves where the Securities and Exchange Commission said to the industry that our website, and any member firm's website, constituted advertising and that we had to be careful about prosecution if we violated their guidelines. Well, they didn't have guidelines yet and that made it difficult for us. So I think unintentional obstruction of the free exchange of information will be a problem. But I suspect that technology and the user base will continue to outpace people's ability to constrain other people. If I didn't have access myself to some very smart young people who really understand how to navigate the web, it would be fairly easy to restrict my access to it because of my own inefficiencies. Daily Bell: Last time we spoke you believed Chile was one of the most hospitable countries to mining. Any changes there? Rick Rule: [Laughing.] Yes. Never have faith in a government. The new conservative guy, Pinera, has ambushed me, just like they did in Alberta. Chile has gone the way of Albertastan. I mean we both agree that the prime function of a government is to steal. There is no industry that's as much fun to steal from as the mining industry because it can't be moved to another location. I guess Senior Pinera looked at the revenue generated by the copper industry and thought, "you know, I would like to dispense that revenue." In a similar move, Alberta just decided to nationalize the oil and gas industry for a while. Chile is still better than the rest, but that's damning it with faint praise. Daily Bell: Is the recent economic crisis over? Is America on the rebound? Rick Rule: Absolutely not, America is in deep, deep trouble. I may have this number wrong, but if my memory serves me, we have 13 or 14 trillion dollars of balance sheet liabilities and 65 or 70 trillion dollars in unfunded mandates and obligations. I understand most of those numbers but the last three zeros to the right of the decimal points are numbers I have a very difficult time with. In the United States we have to come to realize for all our greatness, for all the innovation in the country, for all it's spectacular history and for all the incredible infrastructure that we have, we have been living a lie. We have lived beyond our means. That is going to be a true reckoning. Daily Bell: Any articles or new books you would like to mention? Rick Rule: I have been working so hard I have had no time for sport reading but I would like to mention a book called Stones for Schools by Greg Mortenson. He also wrote Three Cups of Tea, a spectacular book. These books are about building schools in Pakistan and Afghanistan and the effort to promote education and literacy in rural areas of these countries. Both of these books are a wonderful diversion from the gloomy realities around the world. Daily Bell: Any closing thoughts for our readers? Rick Rule: One of the things I touched on is about volatility. You have to prepare for this in a financial sense. It is worth remembering that in the 1970 gold bull market when gold ran from US$35 to over US$800 per ounce, that in 1975 the gold price fell by half and the gold stock index fell by more than that. The sad consequence of that correction was that the people who were right about the trend but didn't have the financial or psychological wear-with-all to stay the trade, lost all their money. They had bet right but couldn't stand tight and lost. I think you will see this same pattern in the future. On the one hand you have to be prepared for one or more 50% declines in the indexes and you have to be prepared for a set of circumstances where 25% increases and decreases are commonplace. Investors and speculators who are psychologically and financially prepared for that will benefit greatly. What volatility means is that goods go on sale frequently instead of occasionally but if you don't have the courage or the financial wear-with-all to stay the trade it can be really terrible. Daily Bell: Thanks for this opportunity to catch up with you again and hear your well-considered insights. Rick Rule: Thank you and I look forward to the free market comments. That's my favorite part. Smart money is moving into gold, but the SMARTEST money is moving into silver.